Eastern Michigan University issued a press release this afternoon announcing a press conference tomorrow at 1 p.m. to introduce its new pick for head football coach. According to the Associate Press, EMU has chosen Ron English to fill this position. Dec. 21, 2008 · 6:01 p.m.
Eastern Michigan University issued a press release this afternoon announcing a press conference tomorrow at 1 p.m. to introduce its new pick for head football coach. 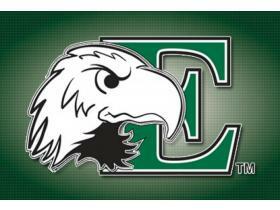 According to Associated Press, EMU has chosen Ron English to fill this position, formerly held by Jeff Genyk. Tomorrow’s conference will be held at the Convocation Center. Genyk was fired from the university last month due to his poor performance record coaching the Eagles. In his 5 seasons, the Eagles were 16-42 overall and 13-26 in the Mid-American Conference. If the AP prediction is true, English’s hiring makes him one of the five African American Head Football Coaches in the Football Bowl Subdivision (FBS), along with fellow MAC coach Turner Gill of Buffalo. English, the current defensive coordinator at Louisville previously spent five seasons at the University of Michigan under former coach Lloyd Carr. In 2006 and 2007 he was defensive coordinator. Eastern Michigan Athletic Director Derrick Gragg worked with Carr, who served as an unpaid adviser during this process. Gragg built a relationship with Carr at the University of Michigan where he was compliance director from 1997-2000. Check the Ypsilanti Citizen tomorrow afternoon for an update after the press conference.